A few years back, when retro styling was all the rage, the guys at GM decided to break another glass door in the automotive world. 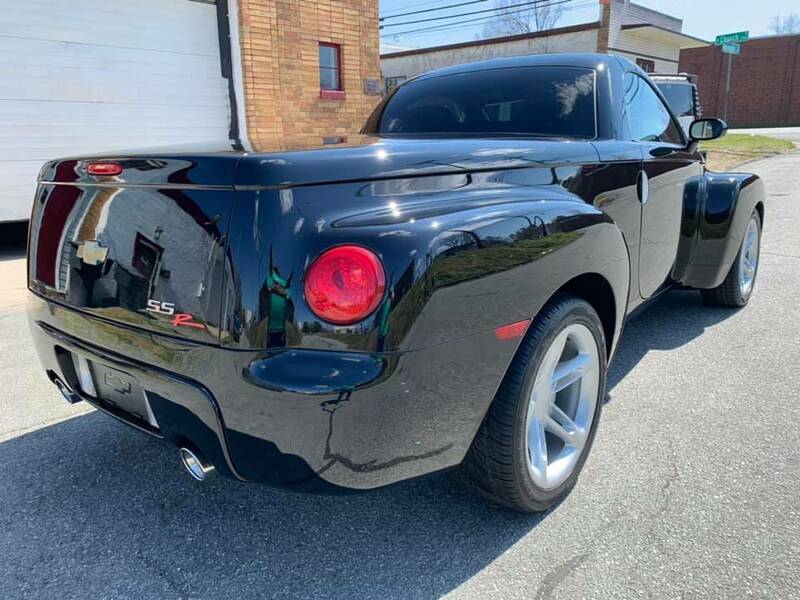 They introduced what was probably the worlds first mass market convertible pickup truck -- there was the ill-fated Dodge Dakota Sport, but that was another ASC hack job, not to be confused with a car purposed built from the factory like a Ford Model A pickup. Regardless, the SSR was built on the Chevy Trailblazer platform and was motivated by a 6 liter version of the LS2 V8 and it was gloriously fast and retro (in contrast the Fords anemic Thunderturd from the same retro-era). Although the styling left something to be desired, and the SSR had the torsional rigidity of a wet churro, a remarkable 24,000 were produced from 2003 through 2006, so expect them to be cheap in the coming years as the original owners have their cataracts removed. 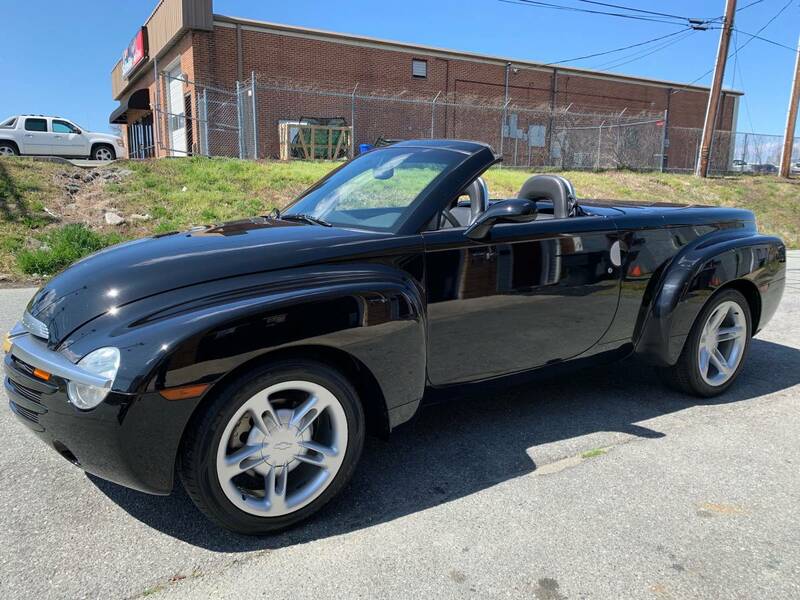 Find this 2005 Chevrolet SSR offered for $15,900 in Chapel Hill, NC via craigslist. Tip from FuelTruck. I have yet to see a ratty one of these for sale. I can't wait to be the 3rd or 4th owner of one of these at some point. Some friends of ours have had one of these for quite a few years and still love it. You definitely don't see them every day and it still gets a fair amount of attention, coupled with the odd questions like, "What year is that?" Or, "Is that kit car? That's a Chevy?? WTH?" Etc. A couple-3 years back my wife accidentally backed into the right side rear quarter panel. (her SUV has a back up camera with color coded visual sensors AND beeps to boot, but she still hit it... that's another story) Anyway, trying to get body parts was a nightmare. They hardly existed anywhere and if memory serves there were only two in North America at the time... one was a factory part and one was aftermarket. In both cases, the part was BIG $$$. We'd planned on possibly paying outright for the fix and not use insurance, but the one body panel was almost $4,000, before paint/labor, it was nuts. The insurance company saw that and would not pay because of the crazy pricing and it took almost three months to get fixed because they were negotiating it down. All that being said, if anyone buys this thing don't get into an accident!! If you want the same look for less maybe look into this kit? Just one minor correction to the story, if you have your cataracts removed,you can see better. Therefore you would not be selling your vehicle. On the other hand, if you have gloucoma, you would have your driver's license suspended and would need be selling off all of your automotive toys. It's the kind of car that gets one into an elite social group where matching chairs, cooler, straw hats and umbrellas with the SSR logo are the cats pajamas. Extra bonus points for Sean today.